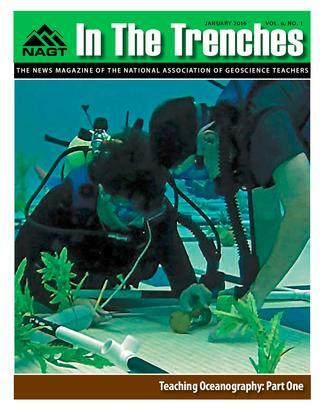 During the Operation Phase of the unit, a two-person survey team catalogs and maps man-made artifacts found inside a gridded section of the wreck in a manner very similar to that used in actual marine archaeology expeditions. Hoffman, M. & Barstow, D., 2007, Revolutionizing earth system science education for the 21st century: Cambridge, MA, Center for Earth and Space Science Education, TERC. National Ocean Service, 2011, How important is the ocean to our economy? : Washington, D.C.: National Oceanic and Atmospheric Administration. Retrieved from http://oceanservice.noaa.gov/facts/oceaneconomy.html. 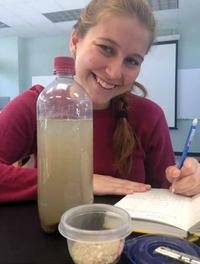 Schmidt, R., 2013, Bridging the geoscience workforce gap: advanced high school geoscience programs (doctoral dissertation), Drexel University, Philadelphia, PA.
Wilson, C., 2014, Status of the geoscience workforce 2014: Alexandria, VA, American Geosciences Institute. 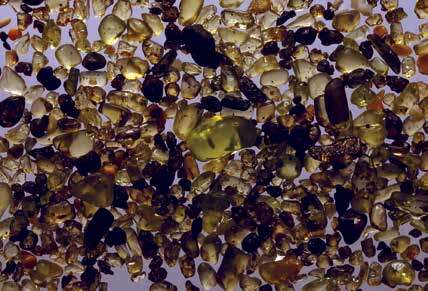 Lithogenous sediment from Mahana Beach, Hawaii. Freeman, S., Eddy, S.L., McDonough, M., Smith, M.K., Okoroafor, N., Jordt, H., and Wenderoth, M.P., 2014, Active learning increases student performance in science, engineering, and mathematics: Proceedings of the National Academy of Sciences of the United States of America, v. 111(23), p. 8410-8415. Henderson, C., and Dancy, M.H., 2007, Barriers to the use of research-based instructional strategies: The influence of both individual and situational characteristics: Physical Review Special Topics: Physics Education Research, v. 3(2), 020102. McConnell, D.A., Steer, D.N., and Owens, K.D., 2003, Assessment and active learning strategies for introductory geology courses: Journal of Geoscience Education, v. 51(2), p. 205-216. Mitchell, M., 1993, Situational interest: Its multifaceted structure in the secondary school mathematics classroom: Journal of Educational Psychology, v. 85(3), p. 424-436. Rotgans, J.I., and Schmidt, H.G., 2011, Situational interest and academic achievement in the activelearning classroom: Learning and Instruction, v. 21(1), p. 58-67. Waldrop, M.M., 2015, Why we are teaching science wrong, and how to make it right: Nature, v. 523(7560), p. 272-274. Garland, E., "The Indian River Lagoon: An estuary of national significance," Palatka, Florida: St. Johns River Water Management District, http://www.sjrwmd.com/indianriverlagoon/. Last updated on December 23, 2015, accessed January 11, 2016. Thurman, H.V. & Trujillo, A.P. (2004). Introductory Oceanography (10th Edition), Upper Saddle River, N.J.: Pearson Prentice Hall. Illustration depicting the overturning circulation of the global ocean. 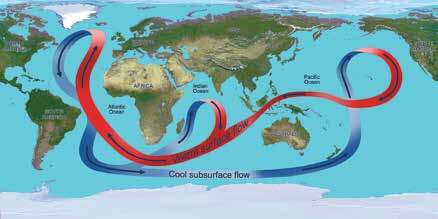 Throughout the Atlantic Ocean, the circulation carries warm waters (red arrows) northward near the surface and cold deep waters (blue arrows) southward. Oceans cover about 70% of the globe and have a major influence on all of Earth's systems. Oceanography offers a fascinating context to connect science with human dimensions through the study of current events and issues such as hazards, pollution, energy resources, and more. Dive into the resources available on Cutting Edge for exciting ways to incorporate oceanography and its multi-disciplinary facets into your classroom and laboratory. Several resources about Oceanography are available from the SERC websites. This Stie Guide provides a list of project websites that provide visualizations, teaching activities, and tools that may be of use in the classroom or in lab.